Following key recommendations on Brexit debated by IMPALA and other cultural organisations in Brussels last week, further IMPALA discussions will take place on implementation for the music sector at IMPALA’s AGM on 5 October. Hosted by the Finnish independent labels association Indieco, IMPALA's AGM will take place at Music and Media conference in Tampere. Last week, more than 60 leading experts from the cultural and creative sectors from across Europe called on Brexit negotiators to address their urgent concerns related to mobility, funding and partnerships, and legal questions surrounding the future relationship between the UK and the EU. IMPALA was represented by board members Paul Pacifico (CEO of UK Association of Independent Music, AIM) and Michel Lambot (Co-Founder and Co-President [PIAS]). The day’s discussions focused on the mobility of artists, artworks and the distribution of audiovisual content; the access of UK partners to EU funding streams and collaborative schemes with their continental partners; and legal questions related to copyright, competition rules, internal market, and future trade agreements. Given the uncertainty of the situation, the goal of this expert workshop was to reaffirm our shared intent and common values, and to produce practical recommendations from the cultural and creative sectors that go beyond those that have already been made. This event is the latest in a series designed to put forward actionable next steps for negotiating the current and forthcoming challenges. Participants have expressed that they feel their concerns have not been sufficiently reflected in the political discourse. Additionally there was the sentiment the wider public is overwhelmed, disinterested or fatigued and that there is a lack of awareness across the board of the damage that has already been done, the scope of what is at stake, and what lies ahead. In recognition of the unique historical and mutually beneficial EU-UK relationship and the vital importance of continued cultural cooperation in the future, recommendations from the workshops are outlined below. 1. 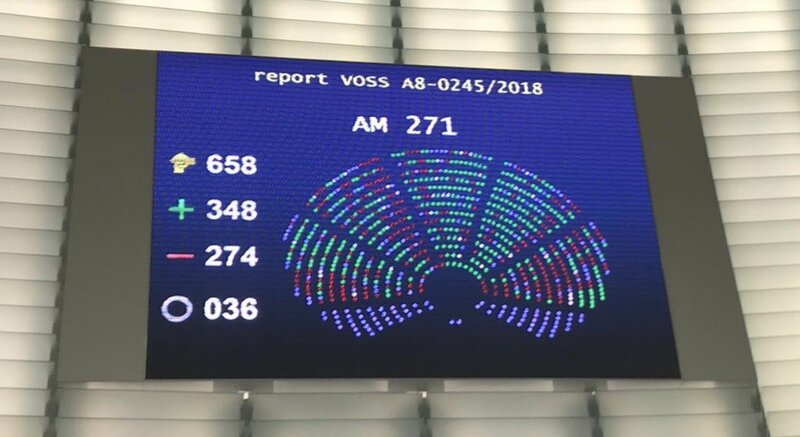 In recognition of the crucial role that the UK government and British Members of the European Parliament have played in the negotiations on the forthcoming Directive on Copyright in the Digital Single Market and irrespective of the timing of the final adoption at EU level, the UK Government should commit to the transposition of the Directive into UK domestic law. 2. Mindful of the needs of the next generation of creative talent, we recommend the introduction of specific arrangements that would allow artists, cultural and creative industries professionals, their teams, materials and equipment to move freely across borders in the UK and the EU. 3. In the event of a Brexit in which the UK is no longer part of the digital single market, the Audiovisual Media Services Directive’s Country of Origin Principle, we ask EU national regulators and Ofcom (facilitated by the Commission and the national Governments) to work towards a framework of mutual recognition for Audiovisual related legislation, in order to promote investment, consumer choice, plurality and cultural exchange. 4. Students who complete undergraduate or postgraduate studies in UK/EU higher education institutions should have the right to stay and work in the country they studied in for a period of two consecutive years within a five year period. Given the particular nature of career progression in the cultural and creative sectors, to offer these longer periods of time for students to remain or return would provide a more realistic opportunity for the student and the country providing the education to capitalise on the knowledge transfer, the network effects and the economic value of their learning. 5. Given the centrality of international collaboration to work in the creative, cultural and media sectors, we call on negotiators to maintain a robust legal basis following Brexit for: standardisation, competition law including state aid, maintenance of workers’ rights, recognition of professional qualifications and the free flow of data. c. Confirmation of specific guidance on how HM Treasury will guarantee work and practices from all EU funding programmes. 2. The EU Institutions and the UK Government to ensure full UK participation in European culture and education programmes post-2020. 3. The EU Institutions and UK Government to fully consult and engage the European cultural and creative sector during the negotiations on the Culture and Education Accord or any future agreement and the design and management of European programmes post-2020. 1. Data collection and analysis of international collaborations with the UK should be carried out immediately (and continued in the long-term) at the regional and national level in order to inform new measures relating to the movement of labour in the arts and cultural sector. This data should inform the perception of UK arts and cultural sector from EU countries. 2. Access to information on administrative issues (e.g. visas, work permits, taxation, social protection, customs, etc.) should be free and accessible to all UK and EU27 artists and cultural professionals. Support from national and local governments should be ensured to set up, maintain and update online information services. 3. Freedom of movement/visas and related work permits: Based on previous recommendations, any new measures should avoid restrictive administrative procedures, and maintain mobility and residency rights for EU workers operating in the UK and vice versa. Regarding visa/work permits, we also suggest different options to facilitate the free mobility of people and goods through different scenarios, to be implemented reciprocally. The ideal scenario is visa-free movement between the UK and EU27 countries. Alternatively, a visa-waiver could be implemented for a certain category of people and/or countries. In parallel to the scenarios above, we recommend testing the House of Lords’ proposed model with other EU countries, including work permits. In all cases, it is crucial to negotiate to maintain the current UK-Ireland travel area where there is no visa restriction. In the spirit of responsible, proactive and global citizenship many of the participants expressed a strong desire to maximise the scope and impact of the day's event by sharing the outcomes with their networks and partners including targeted outreach to key stakeholders beyond the sector. Additionally, looking ahead to the future, there was a clear desire to make concrete plans and commitments to collaborate in the coming months and years, regardless of what the eventual framework may look like, including a festival at BOZAR showcasing artists from the UK and the EU.